#vypesocial is a dedicated e-cigarette bar in Great Eastern Street, opening for two and half weeks in November. Patrons are able to smoke e-cigarettes in the fully licenced bar, and enjoy a series of events including speed dating, comedy, and hip hop karaoke. 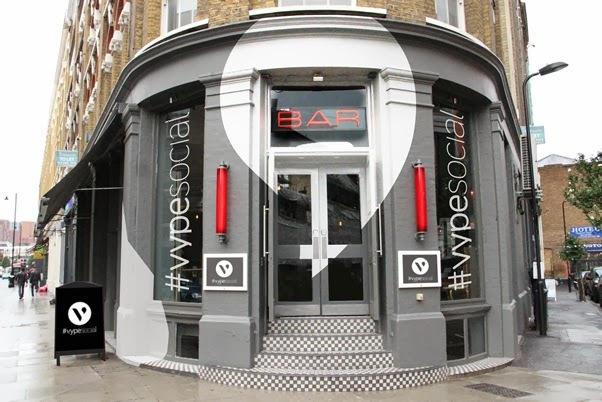 Adult smokers are free to use e-cigarettes at #vypesocial and guests are encouraged to come along to experience sociability reborn"